As an entrepreneur, you’ve got 100 things to check off your list before you can open for business. Among the most important, but often overlooked, is providing a means through which your customers can pay you. 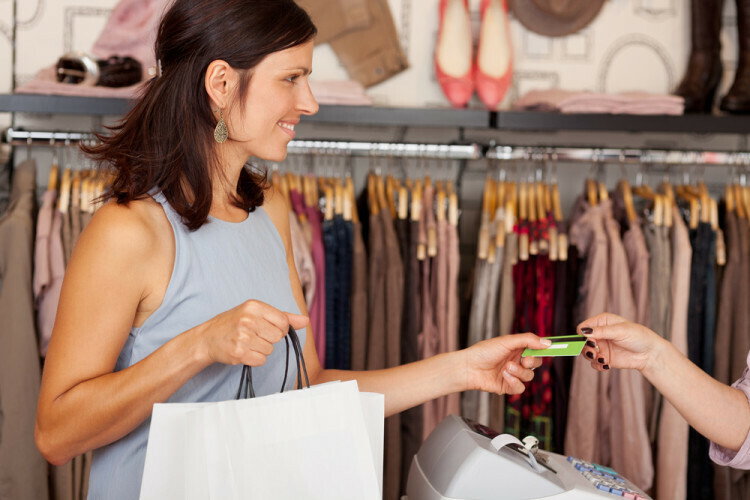 Given that over 75% of transactions involve either a debit, credit, prepaid, or gift card, that means finding a credit card processor. For most entrepreneurs, the search for merchant services starts with their bank, as most banks either offer their own credit card processing service, or have a relationship with a provider that they recommend. Although you may love your banking services or trust the brand name you’ve seen over the years, those credit card processing companies generally aren’t the best solution for startups, because they are expensive and because they don’t offer the flexibility or services provided by startup-oriented providers. While compared to choices that startups face like where to sign a lease, or what equipment to buy, choosing your credit card processor may not seem like an important decision. When you consider, however, that a bad choice can mean fees that total 1 to 1.5% of your gross income, it may be one of the most important decisions that an entrepreneur faces. To assist you in that decision, here are five companies you might consider that are particularly well suited to startups. If you’re making less than $3,000 per month, Square’s swiper offers a great deal for you. Square offers the ubiquitous little white Square card swiper that you’ve probably seen in your local coffee shop or at a flea market. If you’re starting that type of business, this is perfect for you. Unfortunately, Square also designed their POS system to replace the traditional cash register on larger businesses, as well as an online store / shopping cart option that allows you to take payments online. These aren’t particularly good deals. Let’s dig into why: Square keeps their pricing simple. Merchants pay 2.75% per swiped transaction and 3.5% + $.15 per manual transaction across the board, with no monthly fees. No need for mounds of paperwork to get started; just sign up. The ease of signup and no monthly fees are two reasons why Square is perfect for really small startups. Unfortunately, those same benefits are why it’s not ideal for anyone over $5,000 per month in volume. The first disadvantage has to do with the fact that Square doesn’t conduct background or credit checks to use their product immediately. This is great news for the small startup because it means you can take payments immediately. But beware that Square is known to hold funds against what they may deem “suspicious activities” on any account, which is an untenable risk for any startup with significant volume. The second issue is about the pricing. Square is great for micro startups because it charges no monthly fees, but it makes up for it in really expensive per transaction rates. That means that if you’re doing any significant volume, you’re overpaying with Square. If you’re in the micro-startup category (sub-$3,000 in sales per month) and don’t plan to take more than a few sporadic payments per month, or you just want a slightly cheaper alternative than Square, Flint provides users with means to capture credit cards without a swiper by using a smart phone’s camera. They offer flat fee pricing, with 2.95% for debit transactions and 2.95% for credit card transactions with no other charges, a month-to-month contract, and no early termination fees. Although those rates are still high relative to a traditional processor, they make sense for small businesses, because no other monthly fees or charges exist. Again, like Square, Flint doesn’t conduct background or credit checks, so stay in touch with the Flint team to let them know what you’re doing so that you don’t have frozen assets. Another benefit to Flint over Square is that they actually have accessible customer service with live humans whereas with Square you can only fill out a form and hope it gets a response. If Square and Flint are the best options for micro-startups in the retail world, PayPal, is the best option for sub-$3000 per month merchants in the online world. PayPal is also a merchant aggregator (read: no background or credit checks), which means startups can quickly accept online payments. PayPal is a trusted name, which gives customers of startups some added comfort with online transactions, and although their rates are high, they don’t charge anything above or beyond 2.9% + $.30 per transaction for sales under $3,000 online. If you want to use their offline swiper to conduct in person sales, swiped sales are a flat 2.7% per transaction, and keyed or scanned transactions are 3.5% + $.15 per transaction. Just like with the other major aggregators Square and Flint, once you grow your business to more than $3k per month, you might want to move on to another company; PayPal’s rates for their Advanced and Pro accounts can become very expensive. What started as a mom-and-pop operation in 1998 has become a viable and inexpensive way to process credit cards, especially if you’re conducting fewer than 20,000 transactions per year. A startup can use online, in-store sales, and mobile payment options and not have to worry about complex pricing as the company offers simple tiered pricing plans and their $10 monthly fees for this merchant account service. Unlike Square, Flint, or PayPal, CDGCommerce is a real merchant account service, so you will have to complete a credit check and formal application, but with low rates (1.70% + $0.25 for both in store and mobile) startups using this provider will save you more than 1% gross (or $1 per $100 in sales) in total credit card charges. In sum, if you’re startup is over $3,000 per month, this is a good option. Transfirst offers some of the most comprehensive services, catering to specific industries like healthcare, petroleum, restaurants, non-profits, and government organizations. Startups in these industries have specific regulatory and equipment needs, so finding a provider that can meet those needs is often the primary consideration over price. That said, Transfirst has a reputation as having the best customer service in the industry, and competitive pricing. The downside, as with CDGCommerce, is that they require a full application and credit analysis, which means that you won’t be accepting payments for at least a week after applying. As this list shows, there are a number of credit card processors that are uniquely positioned to help startups be able to accept credit and debit payments. Depending on the size of your startup, your particular industry, and your specific technology needs, which provider is best for your startup will differ. For those businesses that bring in less than about $3.000 per month in credit card sales, an aggregator like Flint, Square, or PayPal is generally a better choice because they don’t require a full credit application and their pricing structure—with expensive per transaction fees with no monthly charges—benefits a very small business. By contrast, for larger startups, generally a full service merchant service provider like CDGCommerce or TransFirst is best because they offer lower per transaction charges which more than offset their monthly fees. Whether you decide that an aggregator or a full service processor is right for you, it’s important to remember that while selecting your credit card processing company may seem like a mundane decision, making a smart choice can mean an additional 1% to 1.5% in gross revenues, which for startups operating on a shoestring budget or with tight margins can be the difference between success and failure. My father brought home his paycheck one day and showed it to his kids, encouraging my two brothers and me to go into business for ourselves. That’s just what we did. My path included a graphic design business, artwork, and copy editing, which eventually led to thirteen Colorado Press Association awards in 1995. Since then, I obtained my master’s degree in history and I entered the writing business full force. I also own an Etsy shop, where I sell my own jewelry designs. I also sell vintage items, so I’m one of those “creators/curators.” As a sole proprietor and a small business owner, I know the headaches involved with accepting credit cards. To that end, I enjoy reviewing companies to find anything that might fit my own businesses as well as to keep an eye on anything that might hurt fellow small business owner.